A U.S. presidential outcome, one way or the other, likely will lead to some extrapolation of how economic policies might change—for example, higher/lower taxes or changes/continuation of trade policies—and, therefore, the impact on the stock market. But such policy changes take time; consider the agonizing on Capitol Hill over passage of major legislation, such as health care reform. Additionally, this involves a series of predictions: who will win, what policy changes may be made, and the outcome of such polices. So many places to get it wrong—I wouldn’t touch it. According to conventional political and economic wisdom (there must be an oxymoron in there somewhere), the stock market presumably does better under Republicans than Democrats. Yet some studies suggest the inverse. And because there is no shortage of opinion in politics or economics, there are some who say the economic benefits of one administration may not surface until a change in the Oval Office. Consider the theory touted in some circles that the expansion in the economy during the tenure of President Bill Clinton (1993-1997, 1997-2001) was due, at least in some degree, to the Reaganomic theories of the 1980s still trickling down through the economy. Whatever one’s view, there are plenty of data to back up either side. More important, and the basis of our portfolio decisions at Astor, is the current state and the direction of the overall economy. 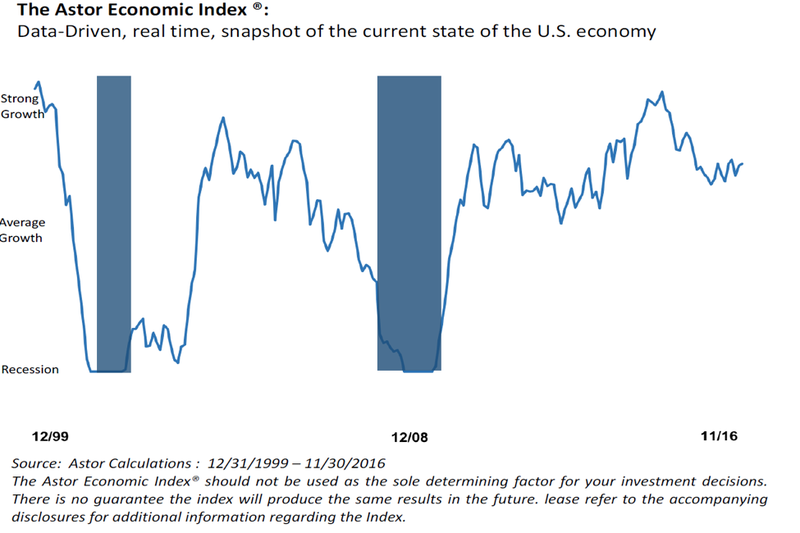 “Now-casting” the current state of the economy, using our proprietary Astor Economic Index®, we feel, is more telling of the likely short-term direction of stocks than most data, including election results. While the index could be stronger, and has been stronger earlier this year, it is still decidedly positive. What all of this leads us to believe is that while there may be some links, at least psychologically, between politics and the economy, the bigger and more impactful thing to watch is the $18 trillion U.S. economy. 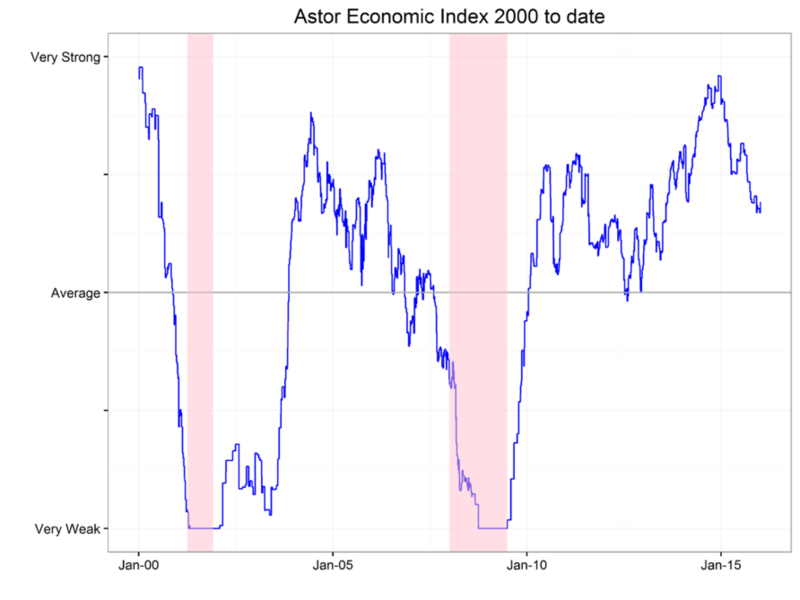 As economists, we at Astor keep our finger on the economic pulse. Based on our study of the stock market over nearly 100 years, we believe the prevailing economic trend to be the best gauge of how and where to invest. Based on our research, we believe that periods of economic expansion tend to favor exposure to equities (beta), while periods when the economy is contracting or in recession do not favor equities and may be more appropriate periods for holding fixed income and/or even inverse equity positions. After determining the prevailing U.S. economic trend, we allocate assets accordingly, using exchange traded funds (ETFs) to take advantage of the transparency, liquidity, and variety of these investment instruments. Any ebb and flow in the polls from now until Election Day (and even beyond, depending upon reaction to the outcome) could impact the stock market with its time-honored tradition of “climbing the wall of worry.” Worry pushes down asset prices, while euphoria sends them upward. At Astor Investment Management, we are not in the business of forecasting presidential elections—nor do we focus on the worries/euphoria du jour. We keep our eye on the economic fundamentals, which we believe have far more impact on the market than who wins the election or any short-term fluctuation in opinions and emotions. And as of this writing, it still appears in our view that having exposure to stocks has a positive expected return. An ETF is a type of Investment Company which attempts to achieve a return similar to a set benchmark or index. The value of an ETF is dependent on the value of the underlying assets held. ETFs are subject to investment advisory and other expenses which results in a layering of fees. 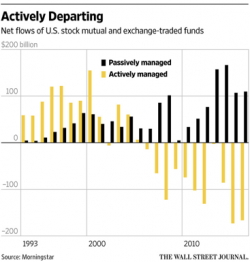 ETFs may trade for less than their net asset value. Although ETFs are exchanged traded, a lack of demand can prevent daily pricing and liquidity from being available.